If you belong to a school, university, business, church, etc. and would like to arrange a Volunteer Trip for your team/group please contact us to discuss scheduling and details. Individuals may also register to join an open trip which are scheduled throughout the year. Educational and Cultural Presentations/Ceremonies - Discussions with tribal elders and youth ambassadors, visiting Fort Laramie and Wounded Knee, participating in traditional dance and drum circles, etc. Recreational Activities - Hiking the Badlands, touring the Black Hills (Paha Sapa), horseback riding, camping. The Tipi Raisers provides food, lodging, transportation around the reservation and the educational, cultural and recreational experiences. Trips vary in length but are typically four to seven days with a mix of work days, touring and recreation. Volunteers Trip costs range dependent on the specific requests and needs of the group (e.g. lodging, transportation, etc.) and are negotiated in consultation with The Tipi Raiser's staff. For more information, please contact us at: info@thetipiraisers.org. 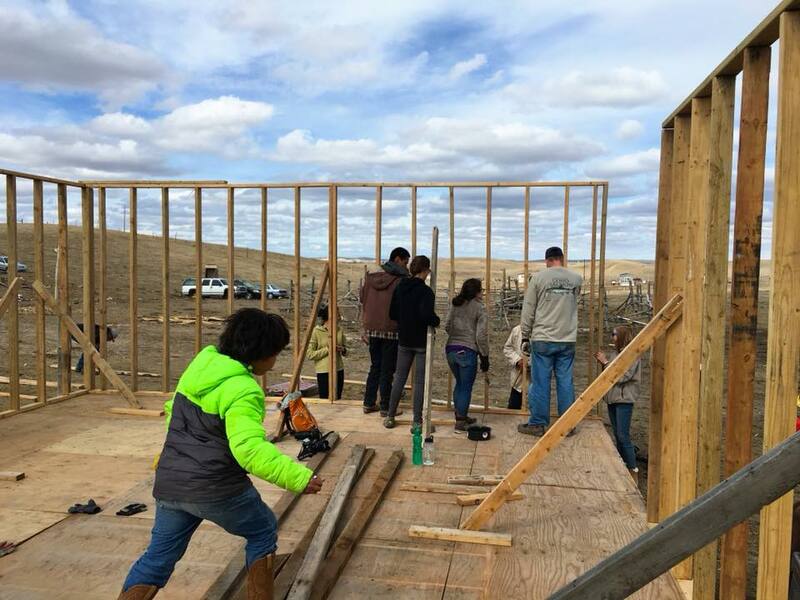 Construction of a new home for a family in Slim Buttes, South Dakota. 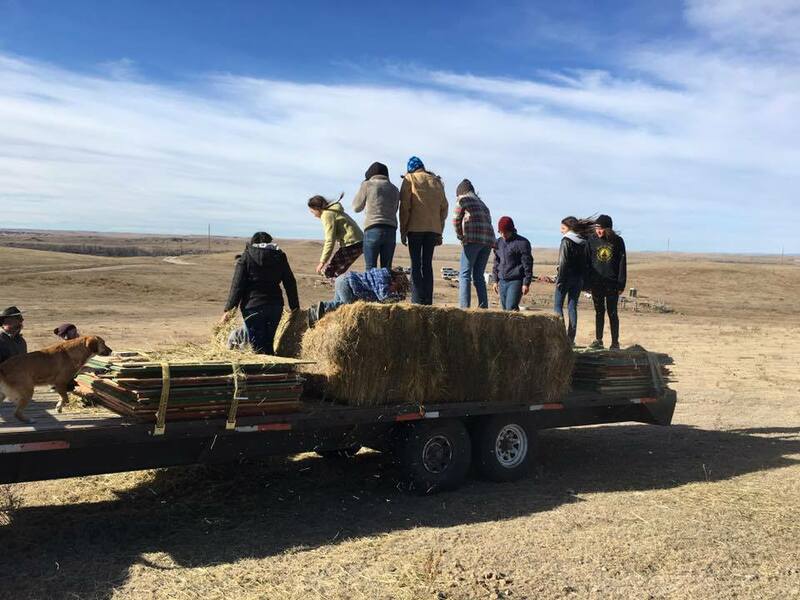 Collaborating with the Oglala Lakota tribal government and Camp Justice to cut and distribute firewood to multiple families around the reservation. Working with tribal officials to repair over 50 - and counting - homes damaged in the July 2018 hailstorm and to provide heating and weather proofing to homes on Pine Ridge. 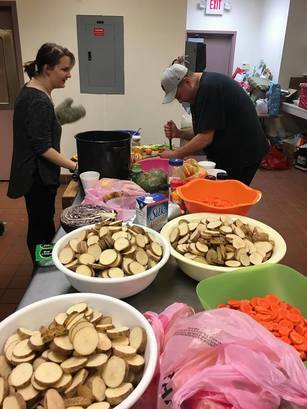 Hosting multiple community meals, holiday celebrations and gatherings in support of requests from local community members. Construction of wheel chair ramps, remodeling of home interiors, reconstruction of burned out house interiors, etc. Construction of multiple community gardens. Delivery of over 150 mattresses. TO LEARN MORE AND REGISTER TODAY!